Home A What is Ark? ARK is a new type of Blockchain system which promises to bring all the best elements of other blockchain systems together in a single, secure ecosystem. Released in 2016, the system held and ICO which raised the equivalent of $1,000,000 – giving the company (Ark.io) the ability to work on deploying its first phase of development. Whilst the system has been promoted quite haphazardly (with typically vague notions of how it wants to build a new global ecosystem), the core benefit of the system has been its ability to provide users with the ability to interact with any crypto system through its interface. Using the token symbol ARK, it’s performed *relatively* well against the USD and BTC since its inception… however, plenty of contention has arisen as to whether it’s a currency or platform (the latter being far more valuable). The reason this is important is because if you’re looking to utilize the system, it’s important to know where it sits in the whole blockchain world. This article aims to highlight what makes Ark appealing, as well as any potential pitfalls it may have. Please be advised this is NOT financial or legal advice… it’s for education and entertainment purposes only. Ark is what’s known as a platform crypto system – designed to provide users with the ability to integrate their own blockchain applications with other blockchain services, including the likes of Ripple, Ethereum and more. It was released in 2016 by a group calling themselves the ‘Ark Crew’ – a number of software developers with varying degrees of experience building blockchain systems. The underlying virtue of Ark lies with its SmartBridge technology (the technology which allows various blockchain systems to work together). It works by providing a central processing system (which works with the ARK tokens), which has inbuilt functionality to convert these tokens to others. If you wanted to trigger an ETH smart contract but hold ark, you could just send the instructions through ark SmartBridge, right in the wallet to trigger the event. You want to issue a record entry in Factom, but you only hold ARK. So you would go to your ARK wallet, enter the correct info and instructions for the FCT chain via the SmartBridge tab. I want to send 10 ARK to my ETH wallet. This would require an encoded listener with a back-end ability to exchange currencies. 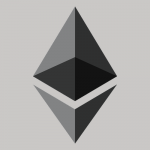 Once I send my 10 ARK to my ETH wallet, the encoded listener sees this TX (transaction) as an exchange function and acts accordingly. With experience in mechanical engineering, Mike helped co-found Crypti, a predecessor of Lisk. Whilst the team may have a number of highly experienced (and qualified) individuals, the reality is that there is relatively little business experience (with demonstrable results) in their midst. Bitcoin brought us the blockchain. 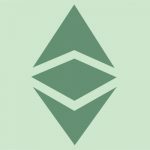 Ethereum brought us smart contracts. Altcoins brought us their unique features. So where are the services for the ordinary consumer instead of only speculative instruments for the trader? We all know the fanciest and flashy blockchain technologies bring in big money. However, is this all cryptocurrency is? A one trick pony designed for investors? ARK Crew does not think so. Ultimately, Ark billing itself as a way to create revenue from blockchain setups is utterly fanciful. They perhaps haven’t seen Ripple’s balance sheet, or talked to Stellar about their hugely influential adviser network. 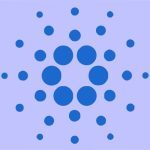 Check Out Also: What is Ardor (ARDR)? Instead of relying on highly hyped cryptocurrency features without future revenue potential, ARK Crew researche the best blockchain technologies under development to expand the range of services ARK can provide. After the implementation of these technologies into the ARK Core through bridged blockchains (ARK SmartBridge), the ARK Crew uses these connections and multipurpose data fields to construct new features and provide valuable services to the average consumer. Consequently, it’s obvious that Ark doesn’t have any real business application, nor a central goal of understanding what solution they’re actually trying to create. The key to a successful system (especially in the crypto world) is to have a CORE focus on what you’re actually trying to achieve, and then build a system with a SINGLE feature-set aimed at getting that focus produced into the world. Ark hasn’t done this, and thus its underlying commercial value is highly questionable (solution without a market). The trajectory of Ark has somewhat slowed down of late. 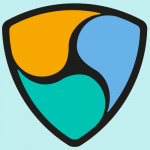 Not only does it mean that the coin could be in trouble, but it also suggests that if you’re trying to gain profit from trading it, you could be in for a rough ride. The problem with systems as ambiguous as this is they typically attract quite an egregious crowd – half of them are speculative traders with no concept of the technology, the other half are idealistic dreamers trying to make the system out to be the next wonderbra. Ultimately, we see the system as a platform, which basically means that its main claim to fame is to facilitate the development & distribution of applications which run on it. Whilst we continually recommend people look at Ethereum and Ripple as the most effective (and reliable) platforms of the blockchain world, the promise of Ark – especially its ‘SmartBridge’ technology – have made it an intriguing proposition, especially for businesses. As with all the other coins, the main tracking metric is how much adoption a system may have. This adoption is typically measured by the system’s token price over time (a price will typically spike after release and then drop significantly). In the case of ARK, the price of its token (and overall market cap) seems to have followed a similar trend to many ICO’d systems which provide little value — spiking early and then dropping as people move their attention onto newer ICO’s. To add to this, one of the CORE problems with not only this system, but MOST others is that we’re headed for a cliff in the crypto world in 2018. This cliff will likely be triggered by BTC but should wipe out the majority of poor-quality alt-coins that don’t provide much by way of value or utility. One of the CORE issues with most crypto systems is how the majority of their founders are either tech nerds, or jumped on the Bitcoin bandwagon. 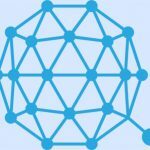 Check Out Also: What is Bytom (BTM)? The important point here is that whilst this process will typically highlight the woeful lack of value delivered by currency systems (beyond what BTC can bring), it should begin to highlight the platform systems as the most important. You may wish to argue that it’s the process of delivering a second wave of crypto systems (as aptly demonstrated by Ethereum / Ripple), but either way, the core of the offering is that it’s a platform – which actually puts it in good stead for any forthcoming corrections. The business experience of the people behind the project is limited. This not only means that the project has limited chances of long-term success, but is also highly likely to be susceptible to any potential mishap in the market. The reason this is important is because the initial phase of crypto systems is almost entirely over (especially after BTC’s epic rally in late 2017). The next wave of systems will actually have to demonstrate commercial value, with many investors looking at underlying business plans etc. One of the core differentiators between a system that has longevity, and everything else is the ones that stick around typically have a core premise of innovation – doing something so different and (typically) better than anything else. The problem with the majority of systems – not just in the crypto world but in almost ALL walks of life – is that most people simply don’t bring much to the table (either by way of innovation or excellence). This – in the end – is what separates the successful ones from everybody else. With the crypto space, it’s widely believed that whilst the many systems have merit, only a few are going to achieve enough adoption to make it to the next waves of the offering — with one (or two) eventually sitting on top. At the moment, this is likely to be BTC and ETH. The main thing you’d be looking for with this type of system (platform) is adoption from major businesses / infrastructure partners. 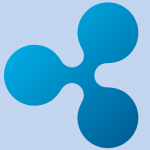 Ripple’s work with banks / financial institutions is one of the best indicators of this – the company behind Ripple earns real dollars (not fake crypto coins) by actually performing work of value. This is quantifiable and is why XRP is currently #3 by market cap. 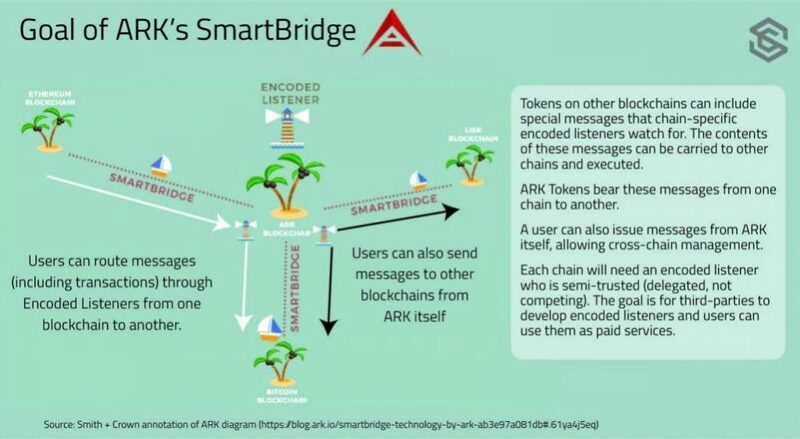 Ark have yet to bring their Smartbridge technology to any sort of major company in this format. This ultimately means that if you’re looking to either develop applications on top of the system, or utilize it in some sort of conjunction with other tools. To this end, when evaluating whether it’s worth paying for the Ark token, you need to appreciate that in order to make any sort of return with a coin like this, you need to buy low and hold until it grows to very high levels (which is almost exactly what happened with BTC). The ones who win are those who bought the lowest and sold the highest.